Summer vacation is here! If your kids are like mine, that means there will be lots of hours spent sitting at the computer watching Youtube! I recently found out about two cool new Youtube channels just for kids that play awesome videos like Scooby-Doo, DC Super Friends, and Batman Unlimited. 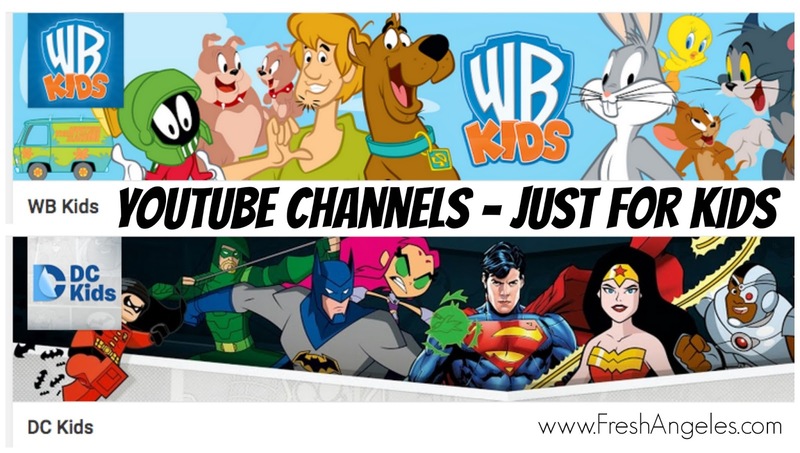 There are so many videos on Youtube that we have to worry about, it's nice to know about these channels from a trusted company like Warner Bros that were made just for kids! Plus my daughter loves Teen Titans Go! and Scooby-Doo so I'm happy to find some quality content that we both can agree on. Check out some of the super fun new videos from DCKids and Warner Bros' new Youtube channels - included are favorites such as Batman Unlimited, Teen Titan Go!, DC Super Friends Looney Toons, and Scooby-Doo! There will be updates happening through out the next year, so you may want to subscribe to their channels! The Official YouTube channel for DC Kids! Enjoy great entertainment from your favorite shows like Batman Unlimited, DC Super Friends, Teen Titans Go! The Official YouTube channel for WB Kids. Watch all of your favorite clips and trailers from iconic brands like Looney Tunes and Scooby-Doo! Enter this fun giveaway featuring some new videos from Warner Bros, including Batman Unlimited, DC Super Friends and Scooby-Doo! You could win one of 5 mystery toy gift baskets containing a minimum of $50 worth of prizes chosen by the staff of WBKids and DCKids.